The 22nd Annual Screen Actor Guild Awards take place TONIGHT at the Shrine Auditorium in Los Angeles! The SAG Awards have so many incredible nominees and I can't wait to see who takes home the awards this year. I've loved watching all of these films and TV shows. It's probably my favorite part of award season. Congrats to all of the nominees this year. Hopefully, I do much better with my picks than I did with the Golden Globes. Here are my picks for the 22nd Annual SAG Awards. Enjoy! Don't count out Bryan Cranston just yet. 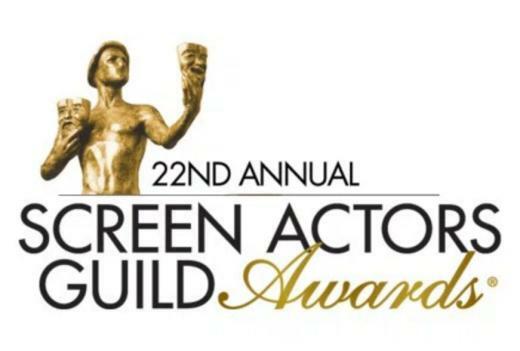 SAG voters have loved Cranston and "Trumbo" did lead the overall nominations for the SAG Awards. DiCaprio shouldn't have any problem taking home the award, but Cranston isn't far behind. I would love to see Jacob Tremblay take this award home as well. He was absolutely brilliant in "Room", and after his Critics Choice win, I could see Jacob be an upset for Christian Bale. We could see Kate Winslet pick up another win for her role in "Steve Jobs", but her Golden Globes win was a shock to most, including Winslet herself. I think we see Alicia take the SAG Award home. The only film I really see competing with "The Big Short" is "Spotlight". I think it's a really tight race between the two, but after "The Big Short" took home the Producers Guild Award, I think we will see it take home the SAG as well. Idris Elba is close on his heels, but I think this one goes to Mark Rylance. After Jon Hamm's win at the Emmy's and Golden Globes, I feel confident that he will take home the SAG as well. The only competition I really think Hamm has, despite all of the amazing nominees in this category, is Rami Malek. Gotta love Mr. Robot! With this being the final SAG Awards for the cast of Mad Men, and with Jon Hamm's Emmy and Golden Globe win, I think we see them take home their final ensemble award. Tune in TONIGHT to TNT or TBS at 8PM EST/5PM PST. Enjoy the show!